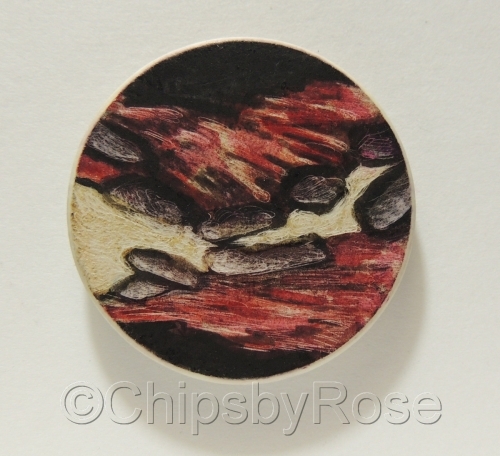 Pigmented ink mixed with gouache. 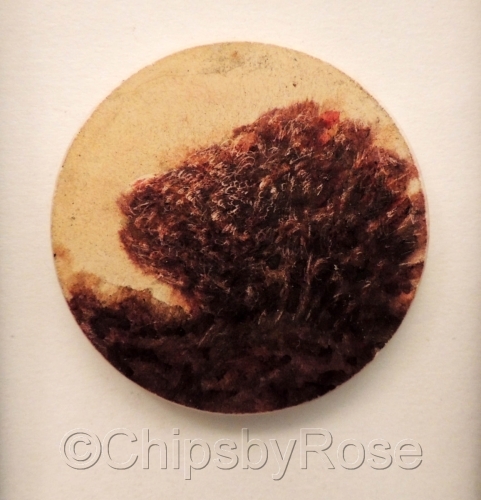 Pigmented ink, dye and scribe on vintage clay poker chips. 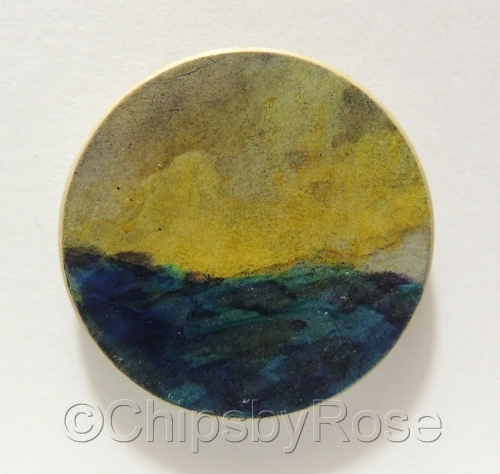 Pigmented ink, dye, and scribe. 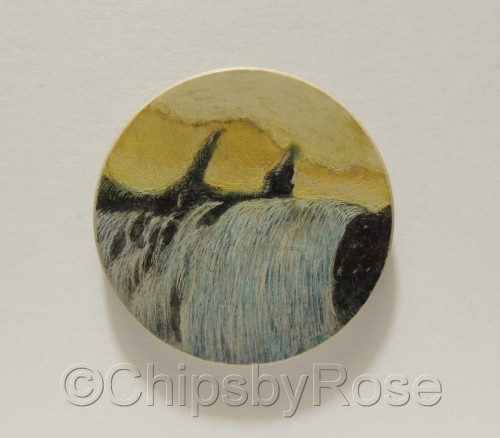 Hand painted on vintage clay poker chips using pigmented ink, dye and scribe. 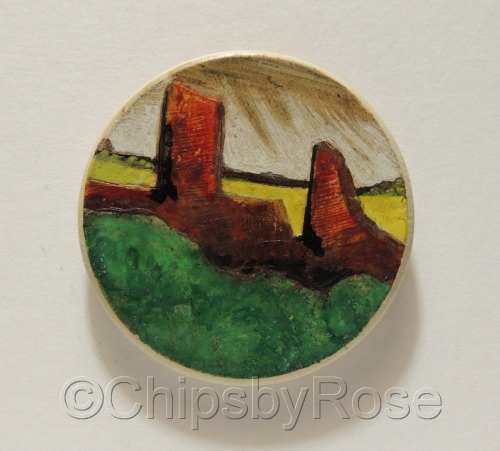 Hand painted on vintage clay poker chips using pigmented ink, dye and scribe. 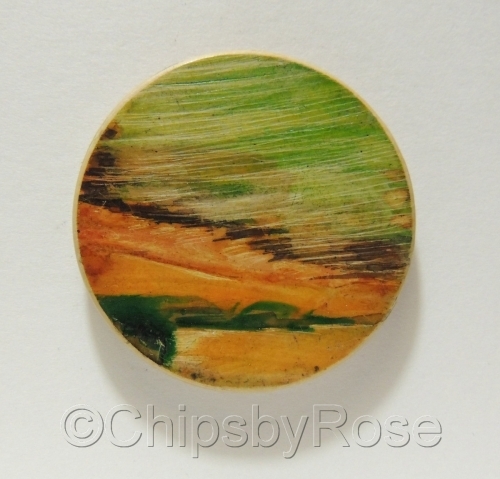 The diameter of each chip is 1.50” (39mm). 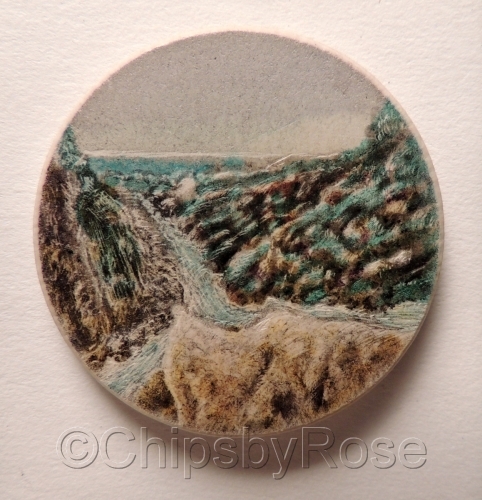 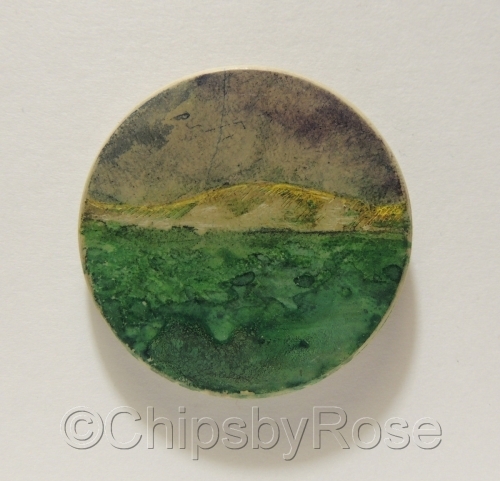 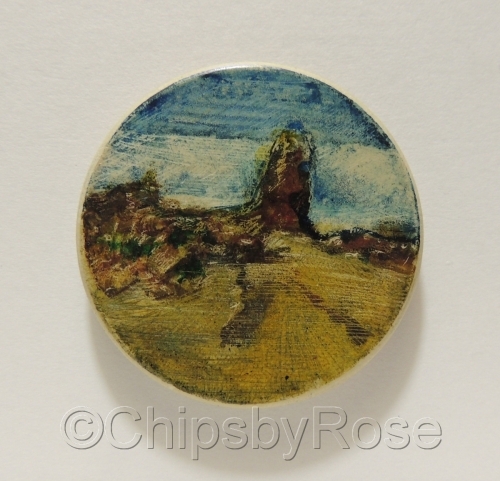 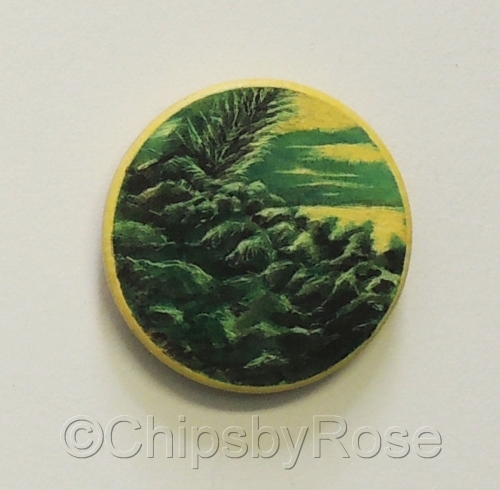 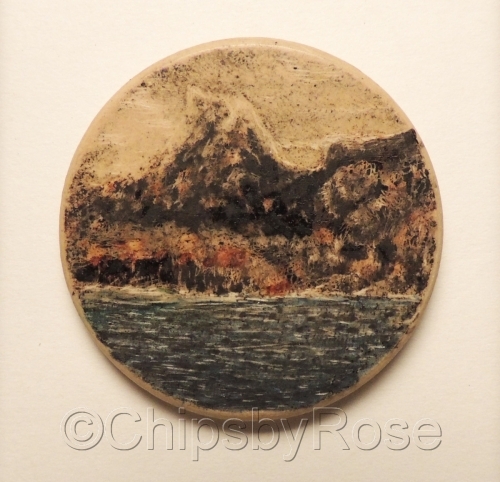 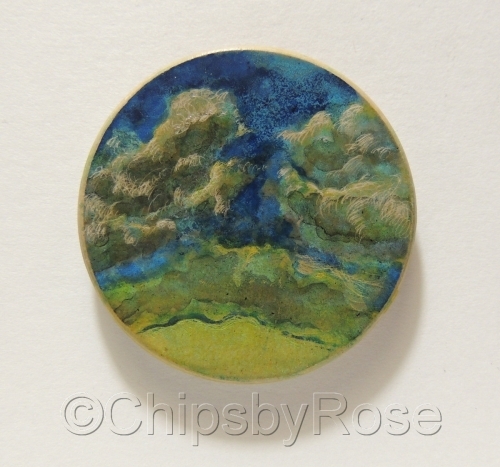 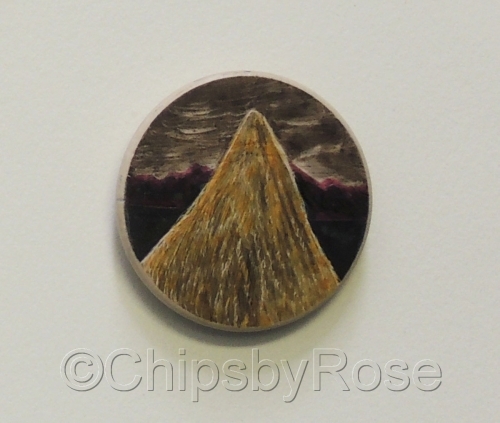 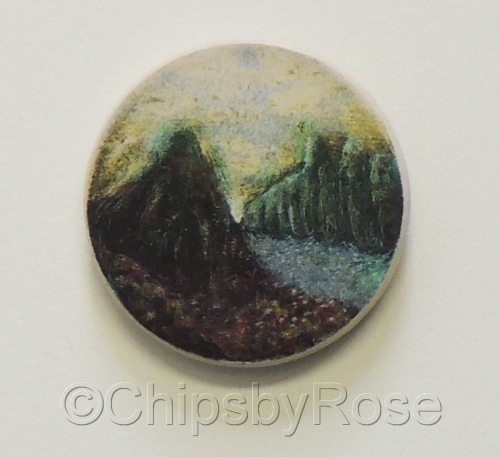 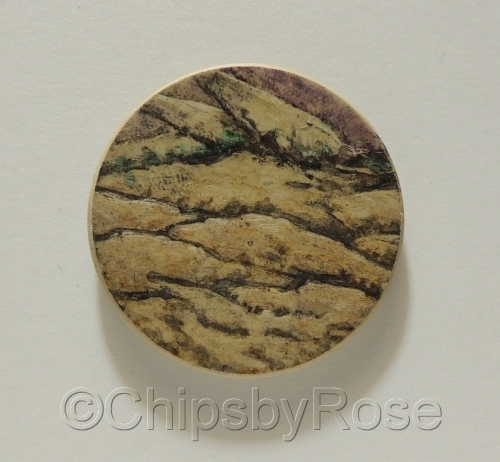 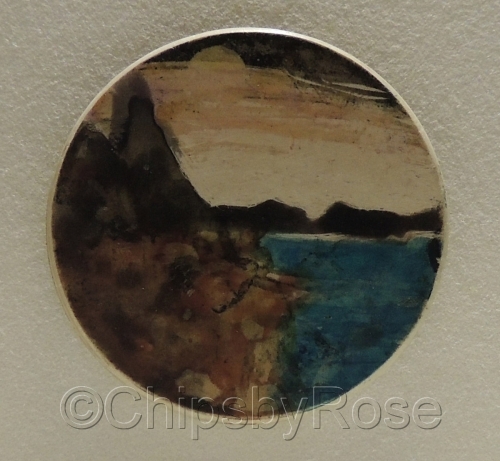 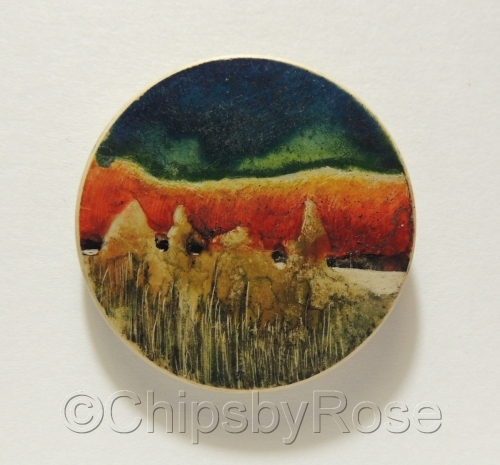 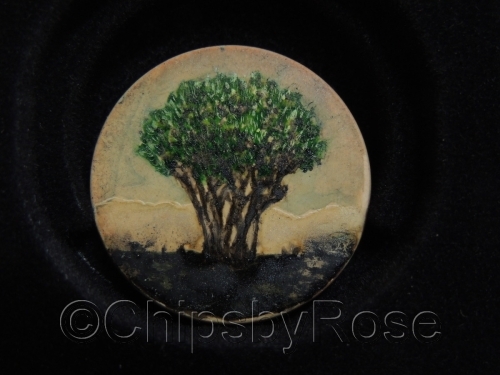 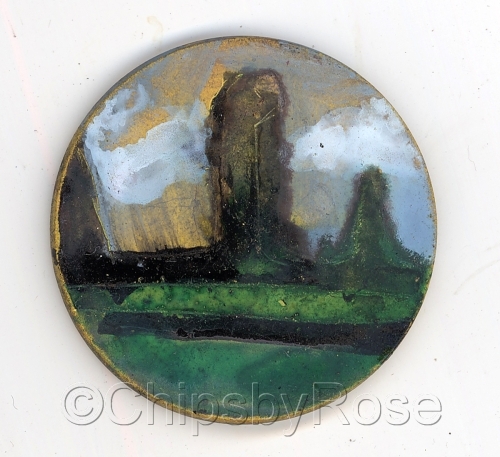 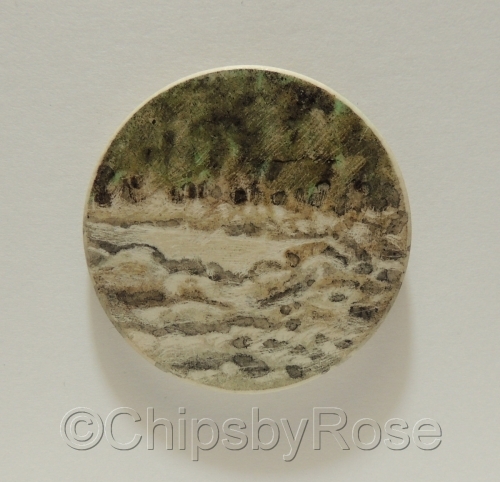 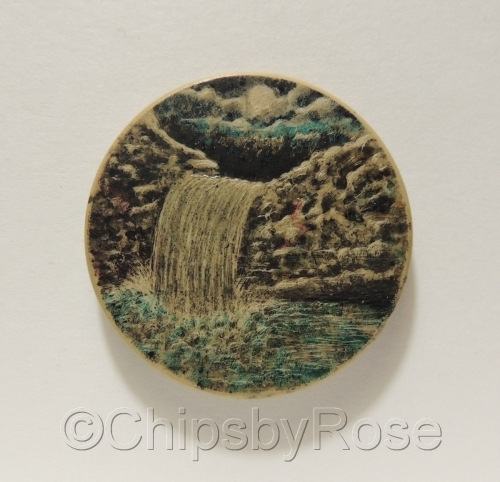 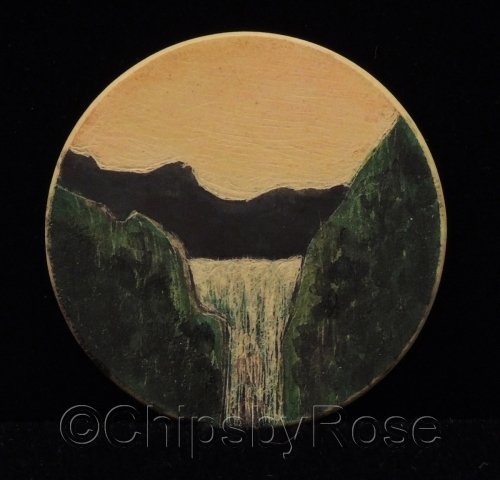 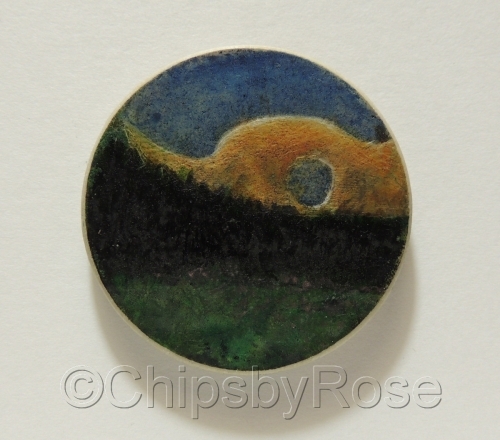 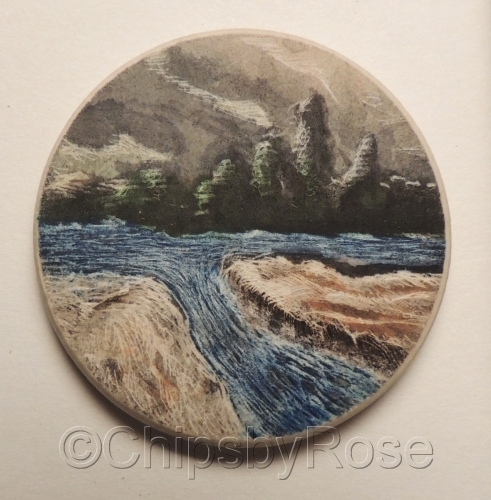 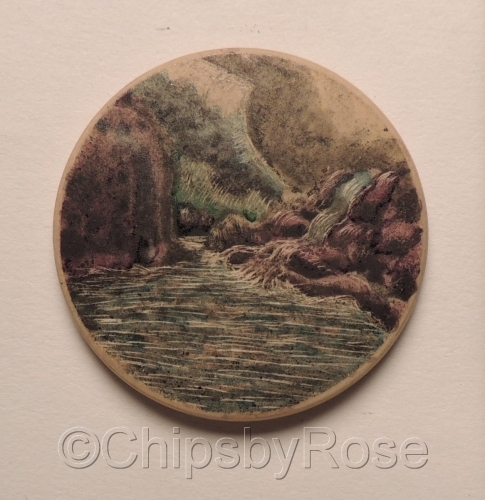 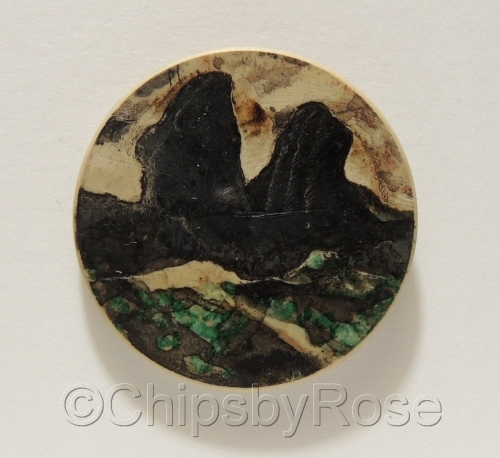 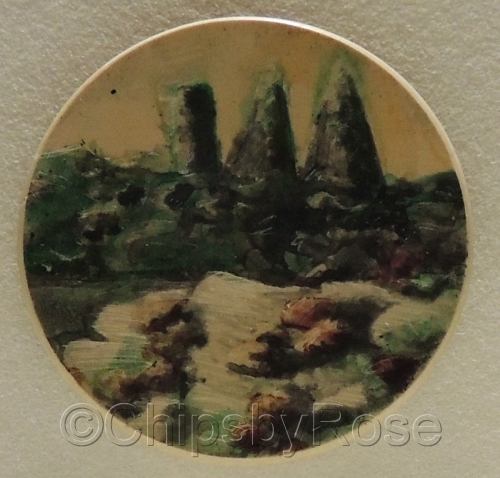 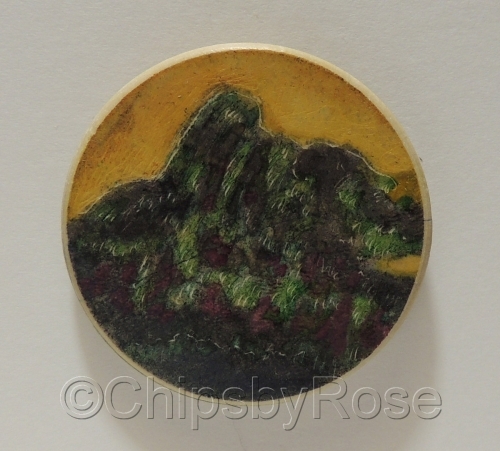 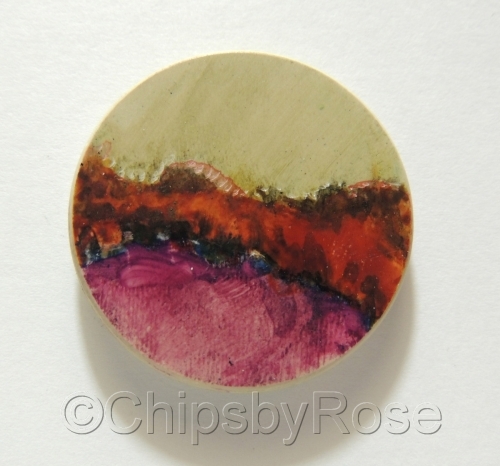 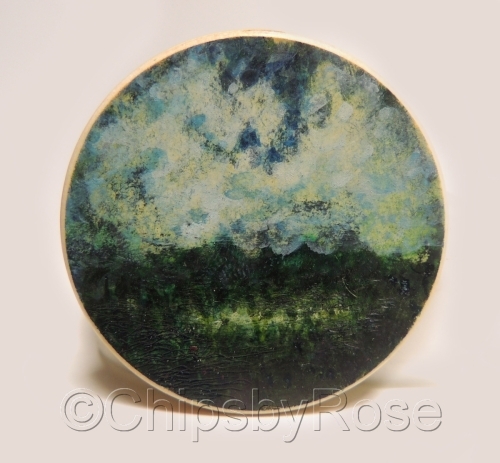 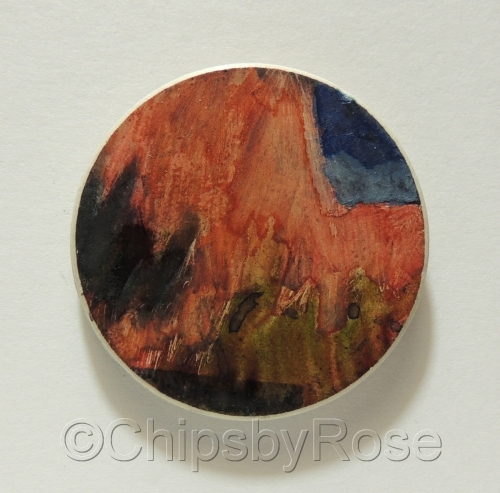 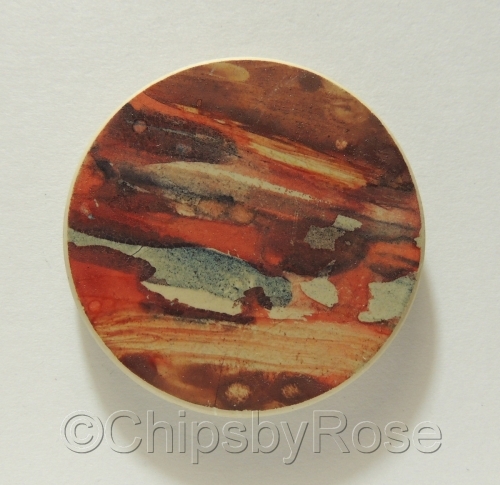 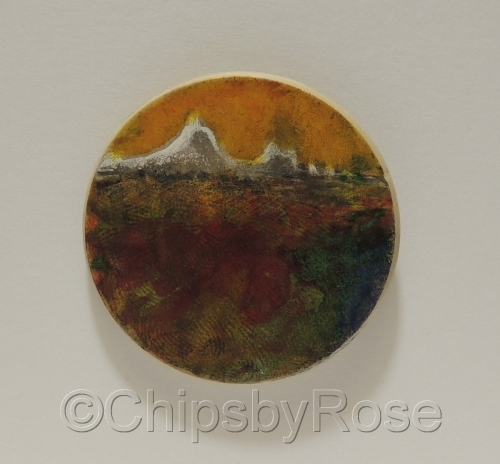 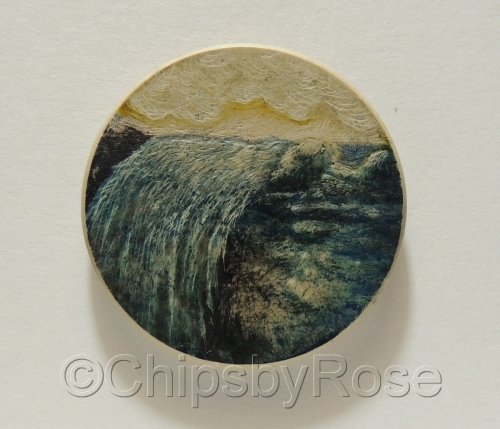 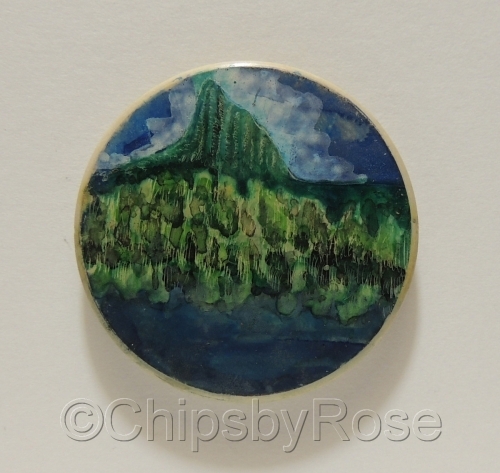 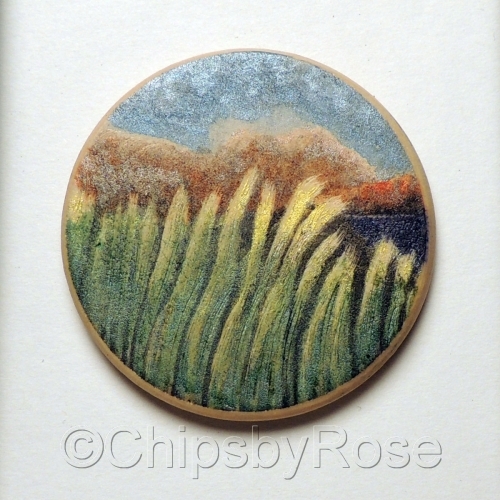 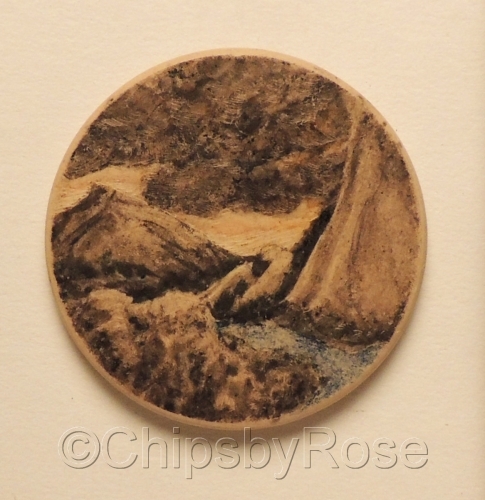 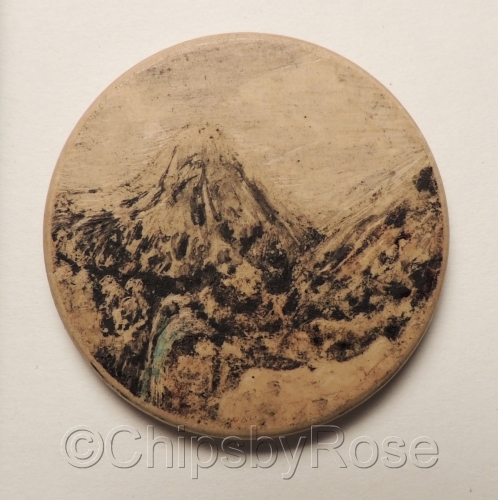 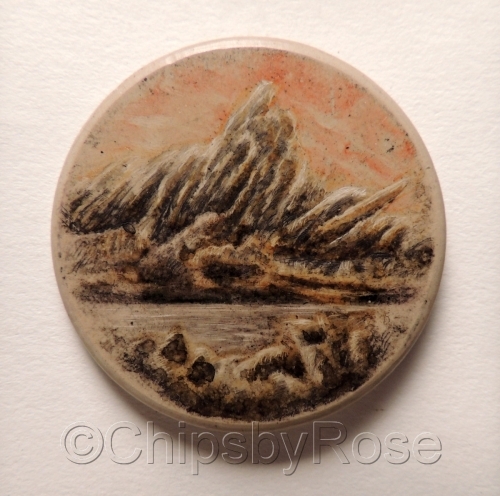 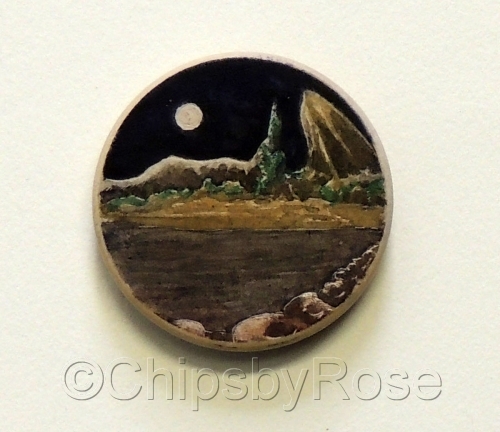 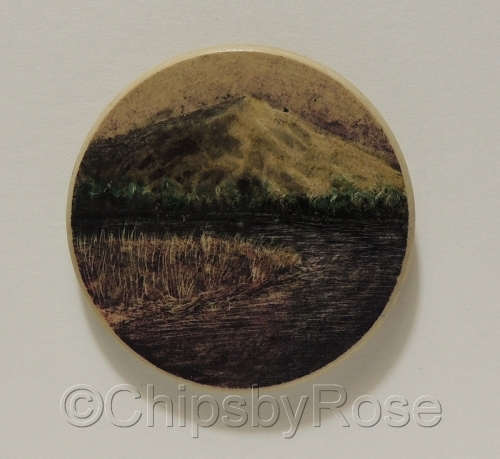 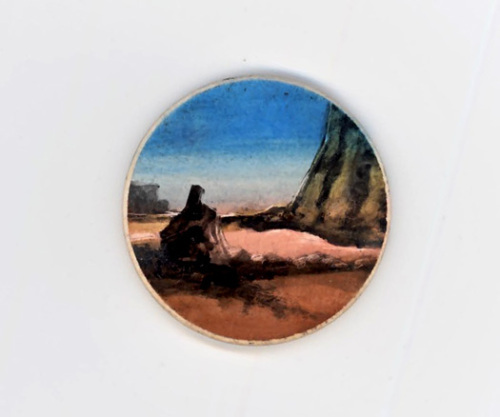 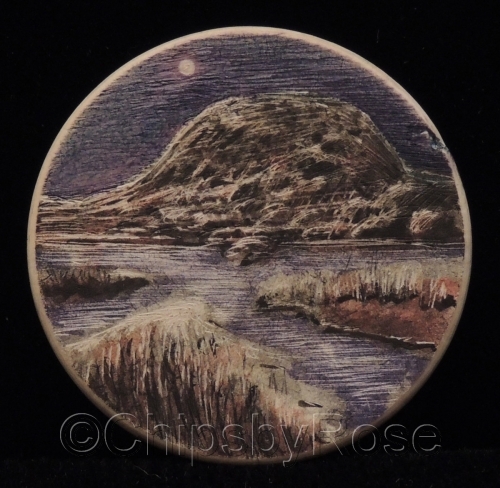 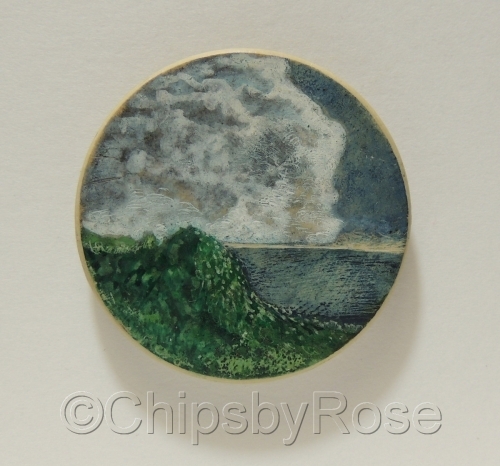 Pigmented ink, dye, and scribe on clay poker chip. 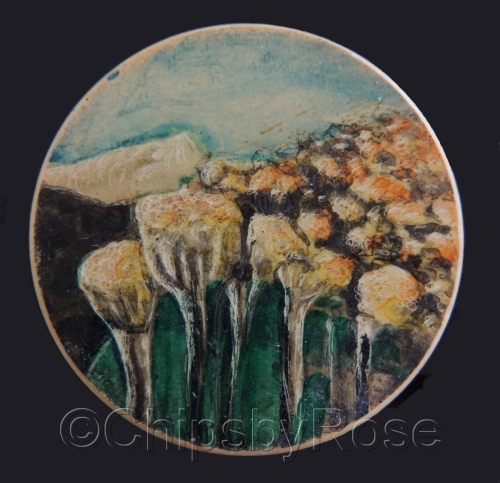 Contact artist for rates and terms.